The chaos of living and working in NYC can really wear you down after a while if you aren’t practicing self-care. Not just sleeping enough, eating right, and exercising regularly, but also allowing yourself to relax, unwind, and de-stress as well! Now that the summer weather is beginning to kick into full-gear, it’s a great time to give yourself a mental break, get outside, and enjoy yourself! Here are a few fantastic ways to decompress in NYC! One of the best ways to relax on a nice summer night in NYC is enjoying your favorite cocktail at one of NYC’s well-known rooftop bars. If you want to avoid the rowdy crowds and lengthy wait times for drinks at the bar, then you might want to go on a Monday, Tuesday, or Wednesday evening. That’s not such a bad deal though! Rooftop bars a great spot to meet up with your significant other after work for a drink or two and relax in the summer sunshine. You might want to check out The Heights Bar and Grill which has an incredible view of the city and some excellent drinks. There’s just something about having coffee on a nice sunny morning that soothes the soul. If you find yourself with nothing to do on a beautiful Saturday morning, take a stroll down to your favorite coffee shop, get your favorite drink, and take an hour to yourself to just relax and watch people walk by. When there’s constantly thoughts stewing around in your head about all the things you need to do at work or at home, it can start to stress you out. So just taking an hour to sip your latte and let yourself zone out can give your mind a much needed rest! Check out Morningside Coffee & Biscuits for a quality cup-a-joe. If you’ve got your latte but you don’t really want to sit at the coffee shop, take a walk through a nearby park! Getting yourself out of the concrete jungle and into a more natural setting is good for your mental clarity as well. Plus, getting out in the sun and soaking up that vitamin D has been shown to fight depression and improve mood. If you have a creative outlet like writing poetry or drawing, bring your notebook with you. Take some time to sit down at the park and flex your creativity muscle a little bit! If you aren’t the creative type, don’t worry; you’ll be delighted to hear that there are a ton of adult coloring books out there that don’t take much artistic talent. Just color inside the lines (or outside if you prefer!) and let your mind wander! If you’re constantly feeling like you need a vacation but don’t have the time or money to go somewhere, then what you need is a staycation! Take a whole day off from work, block out your entire calendar, and just spend the day relaxing at home. Pick up some of you favorite foods to cook at the store or order from your favorite restaurant. Maybe even treat yourself to a drink or two! However you like to relax, whether it be expressing yourself creatively, reading a good book, or catching up on your favorite shows, staying at home away from the rumblings of the city might be just what you need. Being immersed in sunshine is great for your health as mentioned earlier, but being immersed in sunshine and flowers is even better! Lucky for you there are a bunch of incredible gardens scattered throughout New York. If you happen to be in the Bronx, you should go check out the NY Botanical Garden (otherwise known as the Bronx Botanical Garden). The NY Botanical Garden in the Bronx even offers free admission on Wednesdays and from 10am to 12pm on Saturdays. It’s easy to get swept up in the chaos of the NYC lifestyle, but don’t forget to take time out of your schedule to decompress and give your mind a rest. 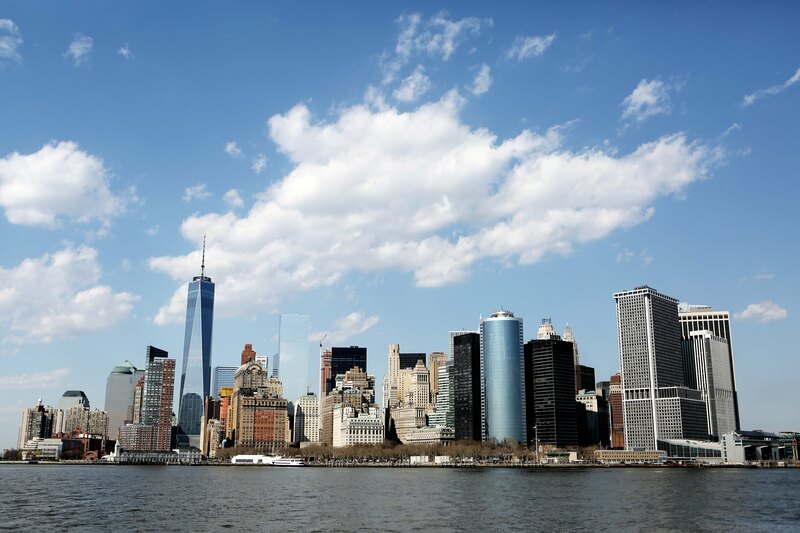 Luckily, NYC is also known for having plenty of things to do, so when it comes to taking a little “me-time” to relax, you’ve got plenty of options at your disposal!